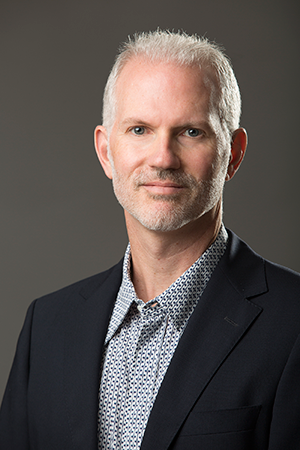 The University of New Brunswick's faculty of science will host a public lecture by Jeff Blackmer, vice-president medical professionalism of the Canadian Medical Association (CMA), entitled “Physician-Assisted Dying”. The lecture will take place Wednesday, Sept. 23 at 7 p.m. in Room 105 of MacLaggan Hall located on the UNB Fredericton campus at 33 Dineen Dr. Following the recent ruling by the Supreme Court of Canada in the Carter case, physician-assisted dying will soon become legal in Canada. How close are we to really being ready for this eventuality? Dr. Blackmer, a UNB alumnus (BSc '93), has been front and centre in this debate, representing the views of Canadian physicians across Canada and internationally. In this public presentation, he will review recent developments in this complex area, the work the Canadian Medical Association has undertaken to date and possible next steps in this process. Dr. Blackmer served as the executive director of the CMA’s Office of Ethics, Professionalism and International affairs for 12 years and has been the interim director of ethics for the World Medical Association in Geneva. In 2012 he received the Queen’s Diamond Jubilee Medal for his contributions to medical ethics and international medicine. Dr. Blackmer is an expert advisor to the World Health Organization and the International Committee of the Red Cross in Geneva and speaks at national and international medical ethics meetings and conferences throughout the year. The lecture is free and open to the public and will be followed by a Q&A session. An informal reception will be held in advance of the public lecture, beginning at 6 p.m. in room 18 of MacLaggan Hall. All are welcome. For more information about the event, contact Patti Douglas at (506) 453-4841 or pdouglas@unb.ca.